One thing that also came to my attention is that the communist party couldn’t suppress Wudang too much because Beijin was drawing 52.6% of its spiritual power from Wudang. 15.6% of China’s spiritual energies came from Wudang. It’s a major place of power and a major source of spiritual power. There were instead efforts to veil and contain the energy of the mountain, perhaps not by the government itself but by the dark forces. I work a lot with crystals and one of the services I offer is Crystals Amplifier to greatly amplify the healing power of crystals by plugging them into Heaven. Wudang is a historical zone of high geological activity and we’re sitting on an entire mountain of stones and crystals of all kinds. So I thought… why not activate the whole mountain? 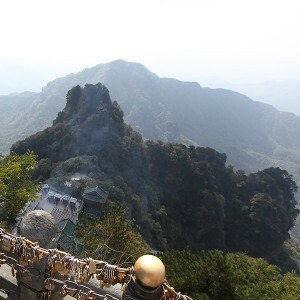 As of right now, the mountain of Wudang is at a vibration of 1818 on the Hawkins Scale, while the city of Wudang Shan went from a vibration of 36 to 113. 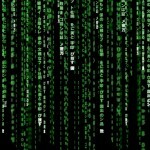 The vortex is accelerating. A friend who is writing a University paper on Wudang sent me a book called Journey to the North (that can probably only be found within University libraries in China). 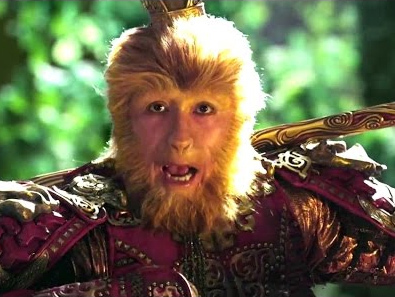 Monkey King (Su Wukong) was from Journey to the West. Journey to the North (also published in Taiwan as A Needle to Awaken the World) is about Xing Wu going to Wudang to cultivate the forces into an expression of divinity, and how this divinity consequently subjected all other religions and supernatural forces of China to its will. Thus, Journey to the North recounts how the power of a central place exercises control over the peripheries that properly belong to it. With regards to religious networks, from the point of view taken in this novel, Wudang is at the top of a hierarchy of places. You’re kidding me, right? That’s not a novel. Journey to the North is an instructions manual for the work I’m doing right now. I’m currently repeating the exact same process as 4500 years ago. So, right now, Wudang is emerging as perhaps the #1 place of spiritual power in the world, with a hierarchy of other places in its downstream. I’ve placed all of my high-end coaching clients in the downstream of the Wudang mountains. CEO Space is also in its downstream, to expand the spiritual energies into the business ecosystems. We’re also currently plugging the Sedona desert in its downstream. The false light matrix is very strong in Sedona. Many people say they feel great at Sedona — and drug addicts say exactly the same about drugs. The false light matrix structures in Sedona are very rigid and extensive so major chaos is to be expected in the area with this shift. There were 3 inverter technologies in Sedona to twist and corrupt the energies. We also detected 6 inverters on the moon, 5 in Montreal, and a few others here and there. 36 on Mars. They’re now destroyed. Perhaps those inverters would require more direct attention. This is the Journey to the North. – Going to Wudang: done. – Cultivate the forces into an expression of divinity: healing vortex is picking up speed. – How this divinity consequently subjected all other religions and supernatural forces of China to its will: not just in China. – Thus, Journey to the North recounts how the power of a central place exercises control over the peripheries that properly belong to it: lots of people reported experiencing a very chaotic week. – With regards to religious networks, from the point of view taken in this novel, Wudang is at the top of a hierarchy of places: that’s why I’m here. Also, there are these giant tablets on the back of a turtle at various places in Wudang. These stones are perfectly carved, perfectly shaped, and way too heavy to be transported anywhere. It’s closer to the stone constructions in Peru and Egypt where scientists settle on crazy theories that make no sense whatsoever. They feel a lot older than what people think, I believe they are about 10000 years old. This time, I got clear memories of how such stones are shaped. First, melt the stone. Second, shape it using a force field, which makes the stone compact and removes structural weaknesses. Third, place anti-gravity devices on each sides to lift it up. From the memory flashes I got, this was done using technological means, not through mind consciousness. 3 years ago, I tuned into 3 of the stone tablets to read what was originally written on it in this article. This time, I saw 2 more tablets I hadn’t seen last time near the entrance of the same temple. Here’s the content of these 2 other tablets (tuning into it for the first time as of writing this). There’s a LOT more distortion than 3 years ago in this area so it makes tuning in difficult. They basically turned the temple into a circus, with a stage, stadium seats, and fake mountains around the temple. Let’s instead tune back in time to do it. Tablet 1: right side of temple’s entrance. The structural deity of the Universe, also known as the Flower of Life, can be found unhindered within our heart. For many have failed to uncover the truth of their true nature. The temple of God is within, not without. Table 2: left side of temple’s entrance. There exists many kingdoms in Heaven, and a kingdom on Earth in their image. One such kingdom is the Great City of Atlantis, reign of divinity. Loyalists to the crown respect a higher order of life/truth. Know that all the lessons are ready to be shared, you just have to ask for it. For a thousand strong men in Heaven, and a thousand strong women on Earth, there shall be peace and wisdom. This entry was posted on September 9, 2018, 2:06 am and is filed under Lifestyle Design. You can follow any responses to this entry through RSS 2.0. You can leave a response, or trackback from your own site. Speaking of Alchemy is the Wave X platform for manifestation something you practice? Do you believe in mono atomic sulphur or otherwise polarized sulphur to be the way? I discovered a researcher who discovered the sulphide bonds on the riboswitches of the mitochondria of all cells (both human and our helpful bacteria). I am sure that this is why sulphur is alchemical at all. But it must be polarized. Safe to say most sulphur fails the test. That would be Dry Alchemy which I don’t practice (working with metals and matter), I only practice Royal Alchemy (inner work through consciousness). There are a few Alchemists following the Dry path in France and Spain. Well Etienne my time here in this universe is almost up. You have been an inspiration and I wish you the best.